Find Comfort In The Savings! We offer plenty of ways to save. For the inevitable cold days ahead in Crossville, TN & Surrounding Areas, you need a heating system you can count on. Crossville Heating and Cooling provides expert heating repairs, maintenance, and installations, right when you need it. We’ll help you stay comfortable all winter long. As a Carrier Factory Authorized Dealer with NATE-certified technicians, you can feel confident that you’re getting the best service around. From heat pumps to gas furnaces, we have you covered. Give us a call today to learn more or to schedule your next appointment! Living in the Highland Rim of Central Tennessee, air conditioning is a necessity. When you get professional A/C services from Crossville Heating and Cooling, you’ll enjoy cool comfort all summer long. From simple repairs to full installations, you can trust in our NATE-certified technicians. We help you keep up with your air conditioner maintenance so your system is ready for the long haul every summer. Our team is highly trained and knowledgeable in the most advanced techniques and technology. Turn to Crossville Heating and Cooling for all your air conditioning services! Living with mold in your home is unhealthy and unsafe. The team at Crossville Heating and Cooling is prepared to handle all mold removal projects to ensure you are breathing clean and healthy air and to help you avoid damage to your home. With the installation of a dehumidifier in your crawlspace, excess moisture that breeds mold is removed. But if it’s too late for prevention, our professional mold removal services are the next step to a healthier home. Give us a call today to learn more! Crossville Heating and Cooling provides indoor air quality solutions to commercial and residential customers throughout the Highland Rim of Central Tennessee. 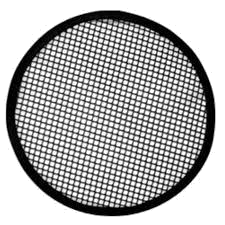 In addition to maintaining a comfortable temperature in your home, you will be able to breathe clean, pure air. Modern homes are sealed so well against the elements that the air inside is often full of dust, pollen, dander and other microscopic particles. If the right steps aren’t taken, this unclean air is recycled through the home over and over. We offer a variety of solutions to this problem, and duct cleaning is at the top of the list. With Your Trade-In Furnace Purchase. Call For Details. Crossville Heating and Cooling is the perfect answer to your temperature control needs. We provide skilled and meticulous installation, system replacement, seasonal maintenance, and prompt repairs to home and business owners across Crossville, TN & Surrounding Areas. Flexible scheduling and punctual arrival ensures we never waste your time. Neat job sites and conscientious clean up prevents damage to your property. 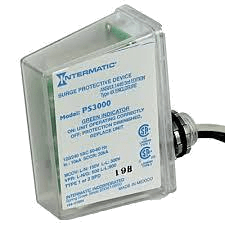 Every call is answered by fully licensed and certified technicians, equipped with cutting-edge diagnostic tools and a wide inventory of genuine manufacturer’s parts. No matter the challenge, we handle it quickly and properly. And we are always available to assist you, with 24/7 Emergency Service. Through consistent demonstration of ethical business practices, technical expertise, and customer dedication, Crossville Heating and Cooling has earned distinction as a Carrier Factory Authorized Dealer. Our NATE-certified technicians participate in ongoing training, keeping ahead of industry advancements, and are specialized in a range of industry-leading products, to perfectly match your requirements to the best possible solution. We are extremely proud to have been singled out with Carrier’s highest honor for its dealers. The Carrier President’s Award recognizes outstanding leadership, integrity, and performance, and Crossville Heating and Cooling is a five time winner. We are the only dealer in Tennessee to achieve such high esteem. For all your heating, air conditioning, crawlspace, and duct cleaning service needs, call the team from Crossville Heating and Cooling! 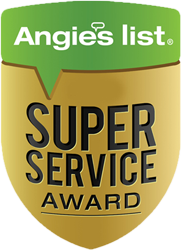 Crossville Heating and Cooling is the only Angie’s List Super Service award winner in Highland Rim of Central Tennessee. We are Better Business Bureau accredited, and committed to providing superior customer service and results you can count on. Along with the installation, maintenance, and repair of residential and commercial heating and cooling equipment, we offer crawl space dehumidification and mold removal, ensuring healthier breathing air and protecting the structural integrity of your home. Call on the experienced team from Crossville Heating and Cooling, and let us fulfill your expectations as well as your requirements. We live here. We work here. We are Crossville Heating and Cooling.